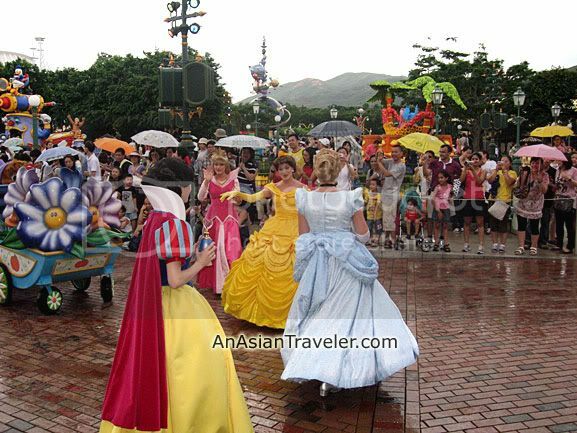 Let me continue to talk about Hong Kong Disneyland. :) It was already jammed when we arrived at Main Street U.S.A., but we managed to squeeze into the already crowded space and waited for the Mickey's WaterWorks afternoon parade to start. 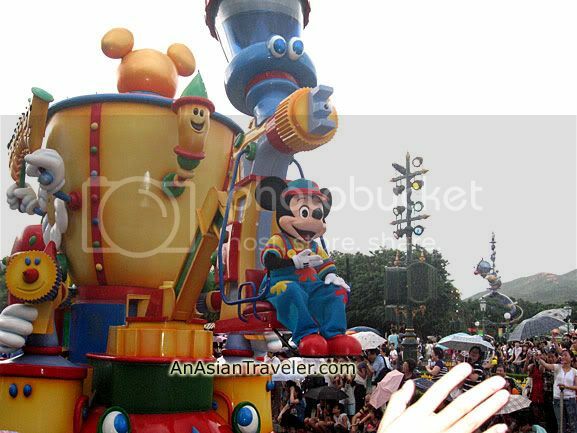 Here is the water-themed parade consists of floats, performers and Disney characters! Floats providing instant shower to willing and the not so willing spectators! Overall, our visit to HK Disneyland was okay. But the indecisive weather made us a bit uncomfortable. It started partially cloudy, followed with rays of sunlight, next an overwhelming downpour, and then it ended cloudy with drizzle. 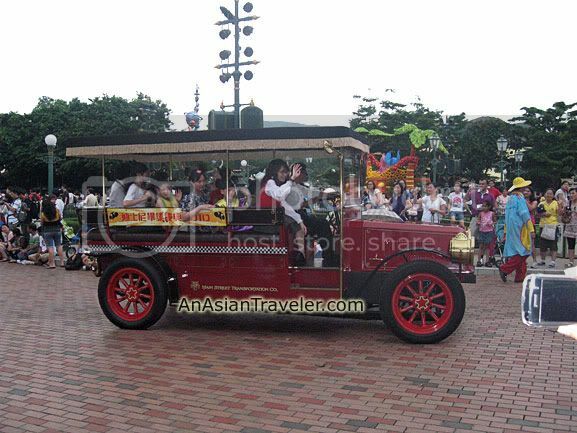 Hong Kong Disneyland is highly recommended for families with kids. The theme park features rides and entertainment mostly for children. Yeah, I've mentioned that in my previous post. ;) One of my dreams is to visit Tokyo Disneyland. With so many friends from all over the world welcoming you, oh, what a lucky man you are, fufu! thats nice.... i didnt wait for the parade now looking at ur pics i wish i did....nice pics. wow! i was here almost the same time as you wer! Really? Who knows, we bumped into each other. haha But nah, I would have recognized you if I saw you there. Anyway, glad to see you back. when i was there last nov, we were showered with snow! Whoa! Snow, I love that!